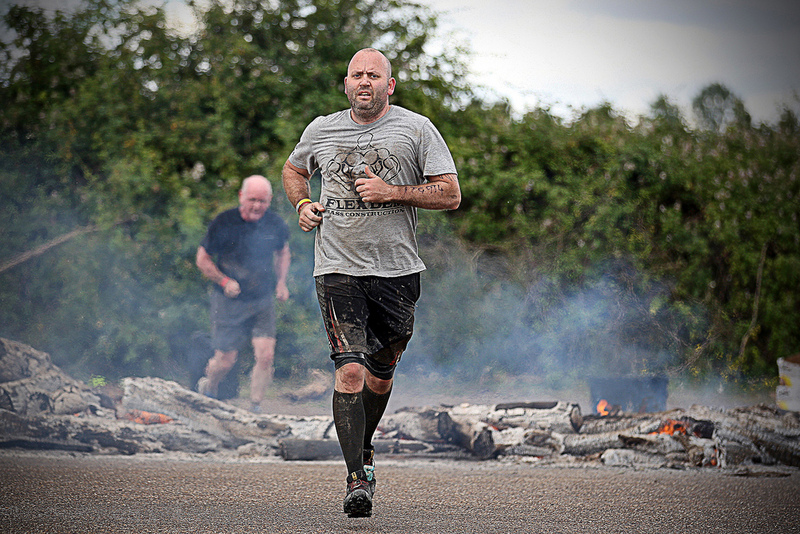 I have completed a lot of obstacle races most recently the Super Spartan race. During these races I see a lot of folk wearing a lot of different kit so I thought I’d share my opinion on what is best to wear and take along to a race. Bottom: I prefer a 2 layer approach, compression shorts firstly for all the above reasons and the added support. I then wear waterproof MTB cycling shorts over the top (partly for vanity reasons) but mostly as this give you an extra tough layer to protect your legs from the inevitable beating, cuts and scrapes they will face. The reason I go for cycling shorts is that they are form fitting, well cut and most importantly they dont have attachments to get caught on the prior mentioned barbed wire etc. Feet: Knee length compression socks for the above stated protection and added support provided. Then we come to shoes, you have 2 choices here, if this is your first race then I suggest using an old pair of shoes that you wont mind throwing away after the race. If however you like me are hooked then you will want to invest in some specific trail running shoes, for me its all about grip so I wear Salomon Speedcross, these are the most agressively gripped shoes I have ever seen although Inov-8 make awesome shoes as do other companies, these 2 specialise in trail shoes tho so I believe in going too the experts. One thing to note is dont be tempted to buy waterproof shoes, your feet are going to get wet so there is no point trying to avoid it, and waterproof means the water will also stay IN the shoes. Other things to bring: Obviously a clean change of clothes, but 2-3 towels as well. A waterproof bin bag to put all your dirty kit in after (you do not want it leaking into your car) you can try bringing water to wash off with but I’ve found it doesnt even tough the surface so better to bring some jogging bottoms to just keep it all in until you get home to your nice warm shower. Money or LOTS of food and snacks, by the time you finish you WILL be thirsty and hungry so make sure you’ve got it covered. Thats all really, hope this helps anyone new to obstacle racing, mud runs or adventure races. Gloves, I forgot to mention gloves. I see a lot of people start with gloves but don’t see nearly as many finish with them. Just like clothes they just get wet and muddy and STAY wet and muddy. the added grip you get at the start of a race is soon gone and they just add extra weight to the ends of your arms. I experimented with various gloves but haven’t found any that worked for me.